What does it mean to be brave in the context of quilting? Is it really to 'face and endure danger without showing fear' as many dictionaries state? Well, honestly, I can't think about too many things with quilting that are really dangerous besides rotary cutters, longarm quilting machines, and running with scissors. We're not talking about bodily harm with #BraveQuilter--we're talking about the fear of failure. When we are so afraid of failure we cease to take risks, we fail to move our lives forward in that area. Many of us don't realize we are stuck in a holding pattern until we start making excuses to ourselves. We might say, "I just don't like that quilt pattern because it's too modern looking," instead of, "I'm not comfortable with all that curved piecing, but I love the colors they use with modern quilting!" Try garment making, but have never done buttonholes? Walk for your health, but feel very out of shape? Run for an office at your quilting guild, but have never served? Publish a pattern, poem, story, book, blog, but have never published a thing? 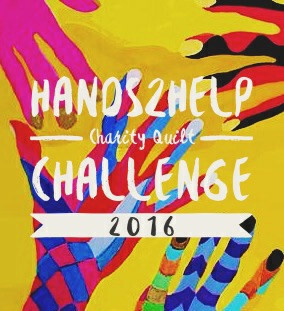 Jennifer@The Inquiring Quilter wrote a spot-on post earlier this month when she linked up with #BraveQuilter. She talked about bravery along with visualization, and goal setting. I could hear in her post how she was setting herself up for success in conquering zippers. 1st she identified what was holding her back--zippers. 2nd she used visualization. Read her post, and you'll agree. And lastly, she set a goal. That's all there is to it. Our goals can be small and simple, and I personally try to set obtainable goals. For example, I've been walking most days, but my goal is not to run a half marathon by July 4th. It would be more reasonable to plan to walk/run a 5K by then. Set reasonable goals. Our own satisfaction is the best prize of all, but I'm adding something extra to one lucky winner who will be drawn from this link up. Remember: This is the second half of the March link up, and you are only eligible for the drawing if you've linked up here. (If you would simply like to link up a post about conquering a new technique this month without being in the drawing, you are still welcome.) This link will be open until April 3, 11:59 p.m. EST. The April #BraveQuilter link up will open April 4-10. Details can be found in the link above. Start thinking about how you would like to grow in quilting, and be ready to link up a blog or Instagram post. *Please use the actual url to your blog or Instagram post. 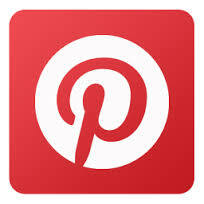 *Create a backlink to this post. 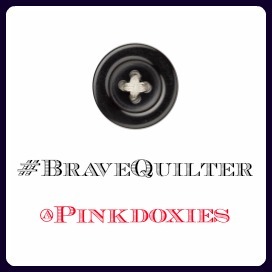 *Visit the other #BraveQuilters, and give them a pat on the back for their bravery. Bravery comes in many guises. Don't include me in the drawing - I'm destashing. Small goals can lead to big accomplishments. Thanks Julie, this has been fun!